One of the aspects about the life of Jesus which sometimes goes unnoticed, is that the people who were mostly attracted to his teachings were not the religious people of his day. Rather, those who were predominantly drawn to the teachings of Jesus were those who were called the ungodly ones of their society. opposite of what we might expect. In the experience of our own day, the “sinners” of our society largely tend to reject the teachings of Jesus, delegating his words as something that “church people” listen to. But in fact, the religious people of Jesus’ day mostly spoke against him, accusing him of everything from drunkenness to gluttony. 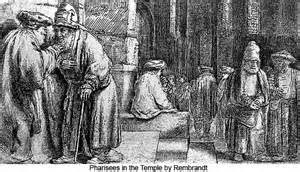 There is one account that is found in the Bible where the Pharisees and the scribes, men who were considered the most highly religious of their day, began to grumble against Jesus. Jesus had been speaking in a public place, and he was beginning to draw a crowd, mostly consisting of people who were known as “tax gathers” and “sinners.” These were the individuals who were basically rejected by the more religious people of the society. These religious and highly respected men certainly would not have done that! They would not be found associating with these “sinners” in any way, much less eat with them! After all, what would people think? Although the Pharisees and scribes were grumbling among themselves, Jesus seems to have heard what they were saying about him, since he began to address what they were murmuring about. He did this by telling three short stories. The first of these stories is one that is well known even in our present day. It is the story of the shepherd that had a flock of one hundred sheep, but one of which that had become lost. Leaving the ninety-nine, the shepherd sets out for the wilderness to look for the one who was missing. The next story that Jesus told the religious people was one to which, in one way or another, all of us can relate. It was about a woman who had ten silver coins. Perhaps you do not have any silver coins, but the point of the story was that the woman had lost one of these, and she was frantic about finding it, since it was pretty valuable. That is the part to which we all can relate. At one time or another, probably all of us have lost something of value that set us in a bit of a panic mode – perhaps some car keys or a credit card. If you have had this experience, you know that you could not rest until you found it. You looked through every pocket of your clothes, every drawer or any place where you think you may have left your lost keys or credit card. Or thinking your keys may have fallen in the “black hole” that cars have between the front seat and the center console, you searched under the seat. Wondering if you left your credit card on the store counter, you ran back into the store to ask, hoping that no unscrupulous person had already picked it up. Jesus’ story did. She thought that she must have lost the coin someplace in the house, since she never took the coins outside. So, she took a light and looked in every corner. With her broom, she swept the house cleanly until at last she found it. Both of these stories illustrate the joy in the recovery of something that was lost. The fact that the shepherd had ninety-nine other sheep that had not been lost, or that the woman still had nine other silver coins was not the point of the story. These were not the thing that brought them joy at the time. What made them rejoice in the moment was the fact that they had found their lost one. This is why Jesus ate with the sinners, despised by the society of their day. It is also why these people were attracted to his teachings. Jesus did not reject them. In fact, he cared enough about them to seek them out as a shepherd searching for his sheep or a woman looking for her lost coin. They were important to him. The religious people, on the other hand, rejected the teachings of Jesus largely because he associated with the sinners. They considered themselves as the righteous ones of their society; too righteous in fact to bother themselves with the sinners around them. But there is one other story that Jesus had to tell these people who considered themselves so righteous. It is also one that is still commonly known in our day. 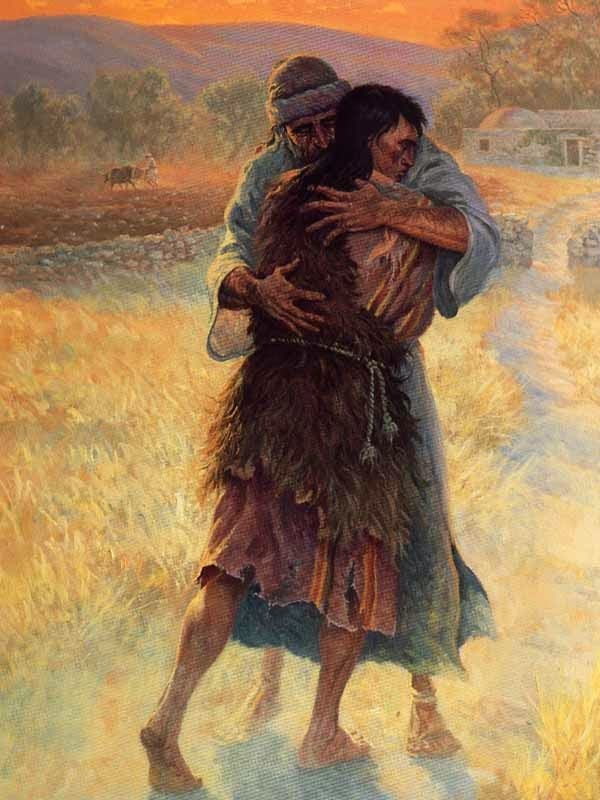 In fact, so well-known is the story of the prodigal son that it has basically changed the definition of the word “prodigal.” Because of the rebellious attitude of the son of the story, many people think that this is also the meaning of this word. 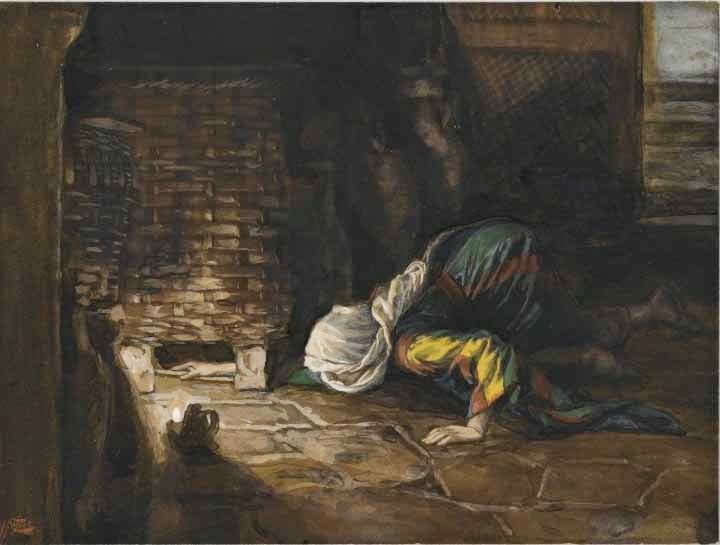 It is not of course; and actually, the problems involving the prodigal son were not really even the primary lessons of the story that Jesus wanted to emphasize with the self-righteous Pharisees. The individual in the story from whom it was the most important for the Pharisees to learn was the other son, the elder of the two. This was the righteous son, the one who stayed home and continued to serve his father. Most of us know how, in the story, the prodigal son finally returned home after squandering all of his inheritance in a distant land. Upon his return, his father was so overjoyed that he arranged for a big party for his new-found son. He replaced the son’s ragged clothing with new ones, and reinstated him in his position as the son of a wealthy man. Like the shepherd with the lost sheep and the woman with the lost coin, the father of this story was beside himself with joy. His lost son had returned! The returned prodigal was no doubt greatly relieved and elated over the reception that he received. He had not expected it. His only expectation was that perhaps he could live as one of the servants of his father, which was much better than how he had been living in the distant country. The older son however, was not joyful about the return of his brother. The older sibling had not been present when his brother returned, nor had he been home at the time when all the planning and preparations for the party were being done. He had been, as always, about his work in the fields. When the older son neared the house as he came from the fields, he heard the music and the dancing. He asked someone what was going on, and learned that his brother had returned and that their father had arranged for a big, welcome-home party. The older brother refused to go in to be a part of it. He was incensed that their father would make such a big fuss over this younger brother. When the father appealed to the older brother about coming in to join in the merriment, the older brother protested. He seemed a bit envious over the celebration that the father had made for the prodigal son. 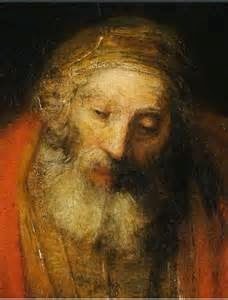 The prodigal son may have been living in a distant country, but it seems that the family must have had some knowledge of his whereabouts and activities. The older brother knew what the lifestyle of his younger brother had been in that land. If it were indeed true that the father had never made a celebration in this older son’s honor, this of course would have been unfortunate. However, because Jesus was addressing this story to the Pharisees and the scribes, it seems that the issue of self-righteousness was more the central problem. By speaking of persons who need no repentance, Jesus could only mean those who were righteous only in their own opinion of themselves, since in reality, there is none so righteous that there is nothing evil found within them. It seems that the Pharisees and the scribes often had this self-righteous opinion. ﻿﻿﻿﻿﻿﻿﻿﻿﻿﻿﻿ When that affirmation is given to another, whom the self-righteous one believes is far less worthy than he is, it strikes right at the root of his own image that he has of himself. All that he can see is how eminently unfair it all is. This I think, was older brother’s perspective. But there is yet another perspective that we must see. older son. Probably you have also heard a great deal about the father’s response to the two boys. The father had long waited for the return of the younger son, and warmly welcomed him when he returned. The father also tried to affirm the older son, despite this son’s envious response to his brother’s return. Detail from Rembrandt's "Lost Son"
However, the most important part of the story is one that seldom gets noticed. It may be understandable to see why it passes overlooked, since in the midst of all the drama of the whole story, the main point of the lesson is contained in a single phrase. It is the phrase that should have spoken to the very heart of the problem as seen by the Pharisees and the scribes; that is, that “Jesus eats with sinners.” It is the part of the story that addressed directly what they had been murmuring about. What else does one do when he has found something that was lost? What else does one do when a loved one who had been estranged comes back home? The question of who is more deserving or more righteous should not even come into consideration at this time. The simple fact is that the lost son has returned! In three separate stories Jesus illustrated the joy of regaining something that had been lost. It seems that the Pharisees only saw that these people, whom Jesus received, were merely sinners to be avoided. The Pharisees and the scribes were content to view these as lost and leave them lost. Eating with sinners? 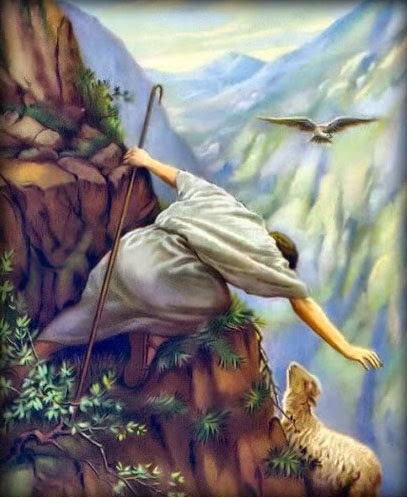 Jesus was the shepherd searching for his lost sheep. He was the woman sweeping her house, seeking her lost coin. Jesus was the father, watching and waiting for his lost son. That is why he ate with sinners. He was seeking the lost ones. It is true that we can sometimes happen upon a lost item by chance. Sometimes the lost item just “shows up.” However, how many of us would be content to let a set of keys or a credit card simply remain out in the public without making great effort to find it? These are valuable to us, and their loss may cost us a great deal if they fall into the wrong hands. To Jesus, people hold a great value. He constantly sought them out. That is why, as the Pharisees had noted, Jesus received sinners and ate with them. He still seeks them. Jesus still eats with sinners today.